Josh Cooper is the Discipleship & Equipping Pastor for Grace Point Church in Topeka, KS. He's passionate about helping people grow in their relationship with Jesus by creating new and strategic opportunities for people to engage in discipling relationships. He and his wife, Jaclyn, have four great "mini's" - three biological and one adopted son from Ethiopia. Josh feels he's been unfairly been of being a coffee snob. "Good coffee is good for the soul," he says. When he's not feeding his coffee habit, he's playing board games. His gaming addiction began 12 years ago when He was introduced to Settlers of Catan. Josh is beyond blessed to get the opportunity to do what he does and for all he has - to live and work and lead each day for the cause and kingdom of Christ. 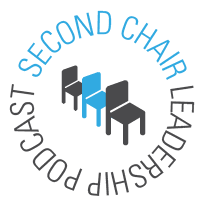 He is also the creator and host of the Second Chair Leadership Podcast - a podcast for learning to "lead creatively and courageously right where you are!" The first episode released January 1, 2018! As a "second chair" his writing focuses on topics that are relevant to equipping and inspiring other second chair leaders. Josh would like to personally thank Alan Briggs, Pete Kramer, Jeff Brown, and John Lee Dumas, for their inspiration. This podcast would not exist without their influence.